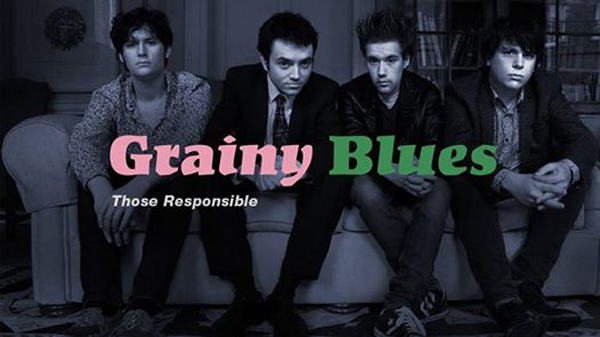 Grainy Blues is back with Those Responsible! - 9pm - 11:30pm: Those Responsible: an amazing blues band!! Formed out of a desire to bring together their shared passion for Blues, Soul and Rock music, Those Responsible are Declan Moran, Jacob Dunlop, Shane Meagher and Faolán Collins. In the two years the band have been playing together they have gone from strength to strength, playing shows across Ireland and in the UK, combining a wide range of styles to create their own original sound and a distinctive live experience. Heavily influenced by the energy and showmanship of the great rock and roll performers, entertainment has always been at the heart of the band. They have incorporated this energy and drawn on a wide range of influences to create their own sound, with sets containing both original music and a new take on the great songs they have been influenced by. Those Responsible have kept improvisation at the core of their performances, making each one a unique experience. Having played eclectic sets all over Dublin, at nights such as The Sunday Roast and The Song Room, and in venues such as Whelan’s, The Mercantile, Sweeney’s, Sin É and Abner Brown’s. Fresh off a slot at the Harvest Time Blues Festival in Monaghan, the band are looking forward to the release of their self-titled EP on October 8th in Whelans.